We have looked before at what we believe is a fair reflection of the ten busiest international air routes, however we also thought, having seen the reports suggesting Las Vegas McCarran International was closed to private jets in the build up to the Mayweather – Pacquiao fight because of a lack of space, that it would be interesting to look at some of the busiest airports globally for private jet travel. To the wider public, Paris Le Bourget airport – open only to general aviation – is probably best known for hosting the Paris Air Show biannually. To those who fly by private jet, however, it is better known as one of the busiest European airports for private aviation. Handling 54,971 movements (fixed wing and helicopter) in 2013, the airport has three runways and can cater for all aircraft types. Teterboro Airport is located only 19km’s from Midtown Manhattan – which, when you consider the huge scale of the urban area of New York City, makes it an incredibly convenient airport for those travelling to the Big Apple by private jet. The airport maintains a weight limit of 100,000 lbs per aircraft, which largely limits traffic to general aviation, as was the intention. Although further from the city centre of London than both Le Bourget and Teterboro are from the cities they respectively serve, London Luton is only 2 miles from junction 10a on the M1, meaning for those arriving at Luton by private jet there is very quick access to the city centre by car. Equally, there is a train service directly from the airport to London St. Pancras station, which takes just over 30 mins. The airport itself is the UK’s busiest for private jet traffic, despite also being an active commercial international airport. There are 3 FBO’s on site to service all general aviation traffic, allowing for all corporate or VIP passengers to transit the airport with speed and in complete comfort. Of all airports solely serving general and private aviation, Van Nuys is perhaps the most well know in terms of a general awareness amongst the wider public. Situated towards the north western city limits of Los Angeles in the San Fernando valley, the airport has featured in many films and TV shows, as well as being the gateway to Hollywood for many a film star or celebrity. The airport is only 17km from Hollywood, or a 20 minute drive, or alternatively is a 20 minute drive to the centre of Los Angeles itself. Those travelling by private jet to Dubai have been facing something of a conundrum over recent years; which airport to fly into. Until 2014, the only choice was Dubai International (IATA: DXB); however, in keeping with the speed of development in the Gulf, and the emergence of Dubai as a global aviation hub connecting the far east with Europe and Africa, there are now concerted efforts underway to move all private and corporate aviation to Dubai World Central in order to ease the volume of traffic heading to Dubai International. With four FBO’s operating at Dubai World Central, there will be no lowering of standards when it comes to the levels of luxury, pampering, efficiency and comfort that is available to those passing through the terminals. In fact, quite the opposite: with more space and less traffic, it is likely there will be less queues and delays for incoming passengers, meaning it is very plausible that those flying into Dubai World Central will be able to travel to the centre of Dubai more quickly than from Dubai International, despite being further away. Dubai World Centre is located 37km south west of Dubai, approximately a 30 minute drive. For all private jet charter to Paris, London, New York, LA or Dubai, request a quote. One of the main benefits derived from travelling by private jet comes from your ability to reach any destination in the world in just a few hours. And since winter is upon us, we’ve done the hard work for you and put together a list with some of the best winter destinations to visit when chartering a private jet. 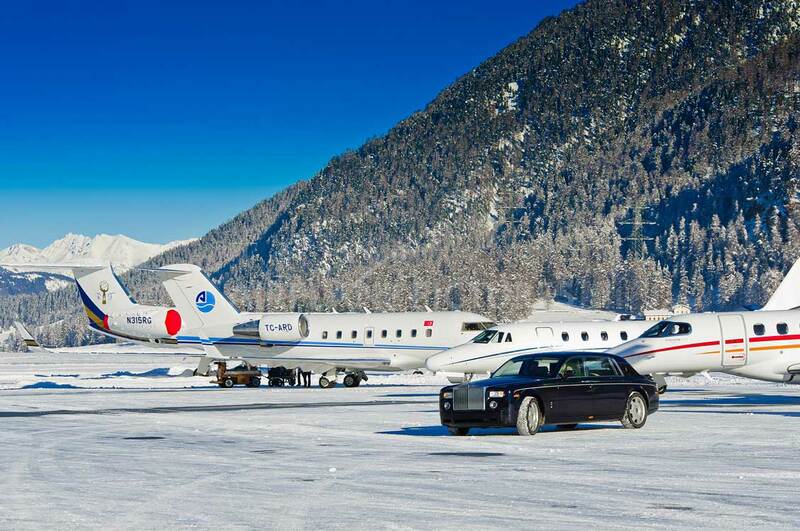 The great thing about going to Switzerland by private jet, and in flying to Sion airport in particular, is that you get to enjoy one of the most visually stunning locations in the world. Not only is it a delight to explore the region here, but the landscape is second to none – and the experience is every bit as impressive as the view. Iceland is amazing to visit during the winter. From the stunning ‘aurora borealis’, to indulging your sense of adventure with an extreme road trip or an exploratory walk up an active volcano, it’s an extraordinary location for anybody looking for an experience beyond the ordinary. If you’re looking for something a little warmer, travelling to the Yucatan peninsula would be worth considering. Cold winter months will seem but a distant memory as you explore this beautiful environment bordering the Caribbean Sea, with luxury beach hotels and activities available to cater for your every whim and need. There are many options when it comes to skiing in the United States, yet Mammoth Mountain stands out. Offering one of the largest skiing areas in the US, Mammoth Mountain also benefits from having one of the longest ski seasons – all whilst being within a five-hour drive of Los Angeles. Courchevel is a delight to reach by private jet, and is known for being one of the most exclusive winter destinations in Europe. Courcheval is one of the rare few resorts with its own airport – so aside from making it incredibly practical in terms of access by private jet, it also allows for one of the most dramatic approach and landings in the world. Baqueira Beret Ski Resort is one of the most popular resorts in Spain. Reaching Baqueira by private jet will involve a flight to Toulouse, followed by a 2 hour drive to the resort itself (or a much quicker trip by helicopter to the town of Vielha, 8 miles away). However, what you will find is one of the best kept secrets in European skiing. Baqueira boasts fantastic snow coverage during the ski season, and is a particularly good destination for heli-skiing.